In a recent verdict, the Madras High Court has ordered public sector insurer Oriental Insurance Company Limited to pay compensation to a helper injured on duty. The helper D. Siyasankar got his hand injured badly while shifting a granite stone at his work in year 2005. He was administered 17 stitches at a private hospital and later shifted to a government hospital. Claiming he suffered a permanent disability of 15% and lost 17% of his earning capacity, he sought compensation. The firm owner said the injuries to Siyasankar were trivial and he had not reported with documents proving loss in his employment opportunities. Further, he was covered by a group insurance policy of Oriental Insurance. Sivasankar filed an insurance claim, but the insurer Oriental Insurance Company rejected it. The Sivasankar filed a complaint before the commissioner for workmen's compensation seeking a compensation of 1.5 lac. The Deputy Commissioner of labour partially allowed the claim and ordered Oriental Insurance to pay Rs 53,394 to the claimant within a month. 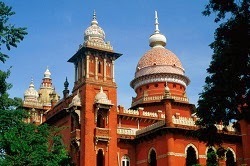 Then the insurer moved the Madras High Court, saying, since it was a group personal accident policy, it did not cover a claim under the Workmen's Compensation Act. Unless the policy specifically covered a claim under the Workmen's Compensation act, no direction could be issued for making the payment, it said. Counsel for Sivasankar said as the insurance policy was valid at the time of injury, there was no illegality in the order. Justice R Mahadevan said an insurer could be directed to pay compensation even if it was not covered under the provisions of the Workmen's Compensation Act. As Sivasankar was injured during employment, he was correct in approaching the commissioner. “The concept of insurance is to indemnify the insured against the claims,“ the court added.